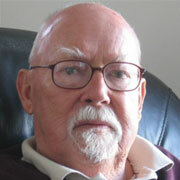 Harry Harrison is best known for his Stainless Steel Rat stories and the novel Make Room! Make Room! which was adapted for film as Soylent Green. Deathworld is the first in a series of novels begun in 1960 and originally serialized in Astounding Science Fiction Magazine. Its the story of Jason dinAlt a professional gambler with psionic skills who finds himself on Pyrrus the deadliest planet to be colonized by humanity. Violent weather, active tectonics, heavy gravity, abundant predators, and a hostile splinter group of colonists is only the beginning of Jasons quest to learn the truth about Pyrrus. 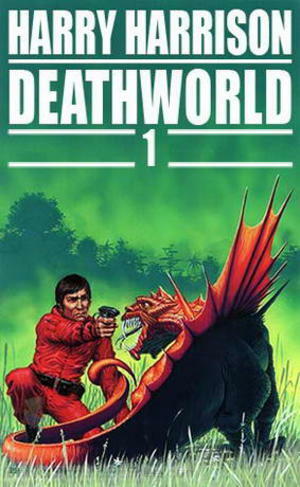 Deathworld is the name of a series of science fiction novels by Harry Harrison including the books Deathworld (first published 1960, serialized in Astounding Science Fiction), Deathworld 2 (1964, initially titled The Ethical Engineer and serialized in Analog) and Deathworld 3 (1968, serialized in Analog as The Horse Barbarians), plus the short story "The Mothballed Spaceship" (1973, written as part of a tribute to John W. Campbell). The central hero is a gambler who becomes involved with colonists of an extremely hostile planet.There are several hints that the novels take place in the same universe as Harrison's The Stainless Steel Rat series; however, other hints suggest a similar universe but not exactly the same one. For example, at several points in the Deathworld series, the novels mention the Special Corps with Inskipp as its leader; however, the story "The Mothballed Spaceship" mentions an armada about to attack Eartha planet that is long destroyed in the time of The Stainless Steel Rat universe. However, that can be explained by Inskipp's immortality and the epoch in which the events of the novel take place, long before destruction of the Earth and even longer before the events of The Stainless Steel Rat.